A six-year-old girl's dream has been sent into orbit after she won a competition to name one of the nbn's commercial satellites and decorate the nose cone of the rocket launching it. Bailey Brooks from Lilla Creek station, 400km south of Alice Springs, was selected from hundreds of entries as the winner of the nationwide nbn competition that called on school children to illustrate how fast broadband will make Australia a better country. NBN is the rebranded NBN Co, which is building Australia's broadband network. 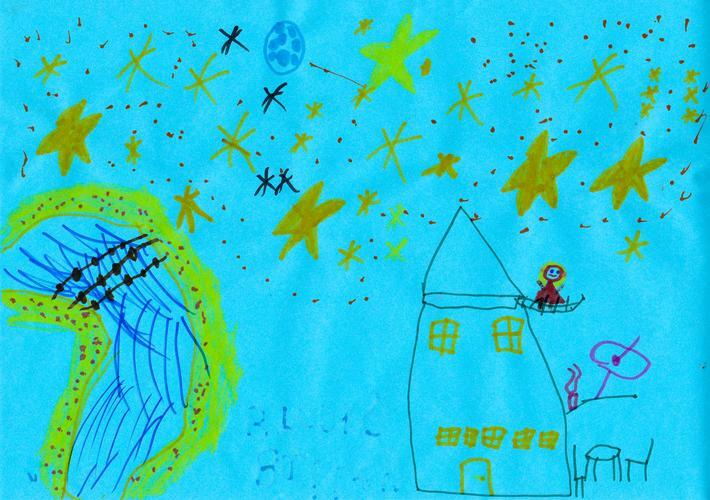 The Shoot for the Stars competition invited children aged 5-12 to submit their own painting or drawing, competing for the chance to have their artwork displayed on the side of the rocket launching a communications satellite 36,000km into space. Bailey and her remote classmates from School of the Air in Alice Springs also won the opportunity to name the satellite, calling it Sky Muster. Referring to the gathering of cattle, the name captures how the satellite will help ‘round-up’ and connect Australians together. One of Australia’s most prolific children’s authors and competition judge Morris Gleitzman said the quality of entries demonstrated that the Aussie traditions of cheekiness and creative thinking are alive and well. “Kids’ imaginations have always operated at millions of megabytes a second, so it’s very exciting for them to see that communications technology is finally catching up," he said. "Their illustrations show how much they relish being connected to a wider world of ideas and possibilities as well as to their fellow Australians. Schooled remotely over satellite internet, Brooks was excited to win the nationwide competition. “I felt special when I found out I won," she said. Sky Muster will be the first of two satellites which nbn™ will send into space, with the launch currently scheduled within the next year. It will play a crucial part in levelling the playing field between city and bush by helping to deliver fast broadband services to more than 200,000 homes and businesses. As well as a national winner, the competition judges chose winners from each state who will be awarded with a commemorative plaque for their school and will receive a trip to Questacon, The National Science and Technology Centre.